The first ABQ Journal poll of Campaign '18 is coming a bit earlier than expected. It will hit the driveways and digital screens this Sunday morning. 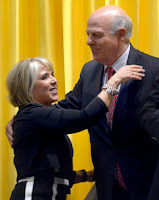 --This first poll could benefit Republican Governor contender Steve Pearce who is widely thought to have kept Dem front-runner Michelle Lujan Grisham from closing out this race early. If MLG is indeed below the critical 50 percent mark, as widely expected, underdog Pearce can continue to argue to donors that he has a chance--even if other early favorable polling to his cause didn't seem to have much success in garnering more cash. 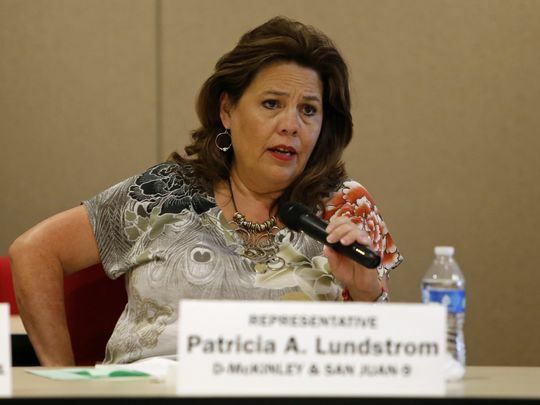 --The survey will come before any TV ads are aired in ABQ congressional district race. Democrat Deb Haaland is widely favored to take the seat but the undecided could loom large, giving some moral support to the uphill candidacy of Republican Janice Arnold- Jones. The problem? Arnold-Jones doesn't have enough money to get on TV in a significant way. --The poll will arrive when the southern congressional district media campaign has only just started to kick in. The district is "lean Republican" but the early polling could show the race unsettled, helping Dem Xochitl Torres Small keep alive her quest to beat GOP nominee and State Rep. Yvette Herrell. --The survey will also look at all the down ballot races but, again, we have had no media in any of them. History says Dems will sweep all but one of them. The contest for state land commissioner is in play. The poll could give a boost to Republican Pat Lyons because he is a former two term GOP Land Commissioner with statewide name ID. Dem hopeful Stephanie Garcia Richard scored an impressive primary win but remains largely unknown and will stay that way until she gets going on the tube. 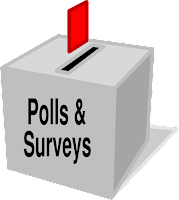 The poll, to be rolled out over a week, will also cover the top issues on the minds of New Mexicans. That will give election watchers a better idea of why they are seeing certain themes from the campaigns. Unless the paper does a second poll, say a month from now, it will be the lesser known public polls and those from the campaigns that will be filling the gap and setting perceptions. If the Journal's second and final poll is in very late October the major races may have already been put to bed because of large early in-person voting which begins Oct. 20. 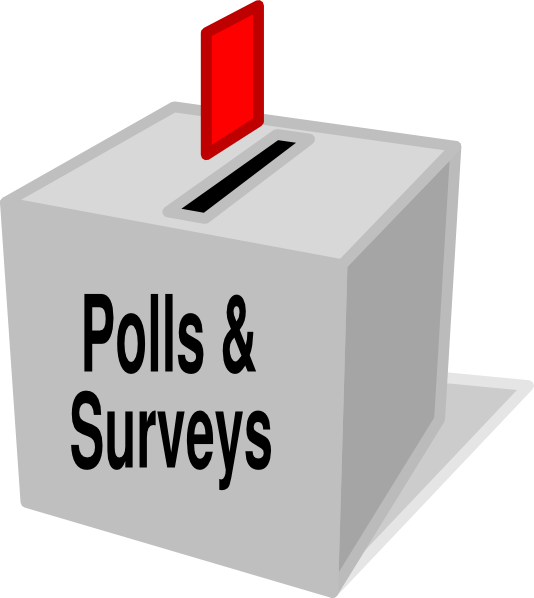 All of that calls for three polls, but they are not cheap to produce. Our legal beagles kept their credentials intact. As they predicted on the Wednesday blog, the NM Supreme Court ruled that Secretary of State Maggie Toulouse Oliver does not have the authority to reinstate straight party ticket voting. The Beagles scored another coup by correctly predicting the decision would be unanimous--5 to 0. The SOS's decision to reinstate the straight ticket caused an outcry from professional operatives of all stripes. Those asking the court to overturn her decision were the Republican and Libertarian parties, Unite New Mexico, a nonprofit that advocates for independent candidates; Elect Liberty PAC, which is supporting former Gov. 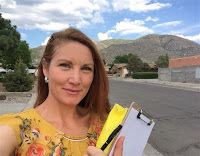 Gary Johnson’s Senate bid and Dem write-in candidates Heather Nordquist of Santa Fe who is challenging Democrat Andrea Romero. The Justices said determining such matters as straight ticket voting belong to the Legislature--not the SOS--and it's hard to argue with their bipartisan logic. The (Court) decision is a disappointing blow to voter access in New Mexico. We should be expanding voting rights and accessibility but, instead, this decision limits the options voters have when casting their ballots and makes voting less convenient. While I stand by my position that straight-party voting is a reasonable option, I respect the judges’ decision and will abide by it. . . “In light of this decision, I am recommitting myself to working toward expanding voter access to the ballot box and advocating for policies such as same-day voter registration, open primaries, and - potentially - vote at home initiatives, in order to better serve New Mexican voters down the road. I hope that those who have opposed the straight-party option, but at the same time claim to support increased voter accessibility, will work with me to enact these important policies. . . It's unlikely the court decision will have much impact on the election but it did reveal the growing strength of independents and third parties in the state as the two major parties struggle to attract new members. As for Toulouse Oliver, who was excoriated from all corners over her attempt to bring back straight ticket voting, she remains a heavy favorite to win re-election against Republican Gavin Clarkson and Libertarian Ginger Grider. While she took a hit in statewide public opinion, it wasn't much. On the other hand, die-hard Dems who praised her for trying won't forget and could provide her support someday if she seeks nomination to another office. How can we trust Yvette Herrell? Her record filled with controversy. Her ethics questioned. While serving in the state House, Herrell landed nearly half a million dollars in taxpayer funded contracts for her own company, and failed to disclose it to the public. The Albuquerque Journal called Herrell’s actions egregious. Even fellow Republicans say she can’t be trusted and call her an insider who puts her own self-interest first. We just can’t trust Yvette Herrell. After that report Herrell filed an updated financial disclosure form, listing a family business that leases office space to state. Prior to updating her filing earlier this year, Yvette Herrell was never required by the Secretary of State to disclose income received by the company for properties leased to the State. Still, she filed amended financial disclosure documents even though she is simply a partner in the company but has never been paid or collected money from it. Following the update to her disclosure paperwork, Yvette Herrell received written notice from the Secretary of State's Elections Director stating that "no further action is needed. Herrell's campaign also called for the TV stations to pull down the ad, saying it was a "smear" on her character and misleading. Well, the ad is based on facts and far from the standards of a "smear." But the political punch it delivers is questionable because the controversy was previously disclosed and still she won the nomination. The D-Trip needs to go back to the research books for fresh stuff if they're going to get Dem challenger Xochitl Torres-Small in this thing. We have that first ad now from the Herrell campaign. It says Washington needs a "reality check" but there is no mention of Trump and there is no use of the word "conservative" that she leaned on so heavily in winning the GOP nomination. Instead she is said to have "courage and conviction." Nothing fancy but no weaknesses either. That education ad from Steve Pearce continues to get under the skin of MLG's camp. Pearce is encroaching on traditionally Democratic turf so you get this . 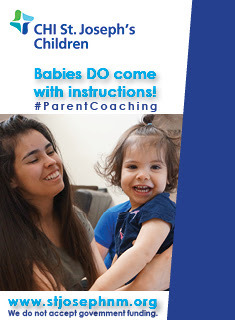 . .
(Her) comprehensive plan for New Mexico public education has earned her the early support of the New Mexico American Federation of Teachers (AFT), the National Educators Association New Mexico (NEA), and families across the state. 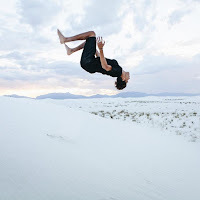 Michelle Lujan Grisham (Voiceover): “This is Joshua. He lives in northern New Mexico. What kind of schools will he go to? As he grows older, what will his dreams become? Will he go to college or technical school? Or in a different direction, with an uncertain future.” “I’m Michelle Lujan Grisham and New Mexico can choose the right path. As governor, I’ll use our permanent fund to invest in our schools, apprenticeships, infrastructure, and small business. It all starts here." Are you seriously trying to convince people that a member of Congress who has opposed federal funding for school lunch and breakfast programs suddenly cares about how hungry kids are when they're trying to learn? Do you really think that people will believe that a man who has, for years, supported the failed "test-test-test" educational philosophy of Susana Martinez has finally seen the light and now calls it a "broken test system"? Are you naive enough to think that you can woo teachers with platitudes when you've got a 0% rating from the NEA and have supported the concept of privatizing public schools? You may be able to fool some of the people, but I believe that most New Mexicans are too smart to fall for hypocritical pandering and lies. Well, Bill, maybe New Mexicans are "too smart" to fall for the "new" Steve Pearce, but when all your team has up on the air are ads trying to bring him down over his ties to the oil industry and environmental issues, you're giving him plenty of room to make his case. Just sayin'. . . The NM Supreme Court ruled unanimously Wednesday afternoon that Secretary of State Maggie Toulouse Oliver cannot reinstate straight ticket voting in the November election. Here's he most relevant question that Justices will present to the Republican challengers of the straight ticket decision: "I know that you believe this is wrong, but exactly what in the law prohibits it?" This question will be pushed over and over. The answer? This may be unconstitutional, but the Supremes don't have to go there. They can decide straight ticket voting was the result of improper rule-making by the SOS and leave the constitutional question alone and an immediate stay will be issued. Next, does the SOS do what the Michigan SOS did, and ask a Federal Court to permit her to do what she wants? Several of the Beagles predict an unanimous 5-0 vote court vote that shoots down the straight ticket option. We'll know soon enough and will post the results of the court hearing here when they come in. This is the problem with Dems--not pushing Youngblood out of the race when they had the chance. She is going to delay, delay, delay as deep into the election as possible. Did Dems comment on Youngblood’s delay tactics? Probably not. Well, one Dem operative did comment on background arguing that it is actually to their benefit that the decision on Youngblood comes closer to when people begin casting their votes. Youngblood is being challenged by Dem Karen Bash whose campaign is counting on outside PAC support to come into the district and help take Younbgblood out. Republican Yvette Herrell has joined Dem Xochitl Torres Small on TV in the contest for the southern congressional seat. But Herrell's positive message will have some negative company. According to TV records, the Dem Congressional Campaign Committee has bought time starting today to run a negative hit on Herrell. The seat is "lean R" so it will be interesting to see if the DCCC can soften her up and make this race more competitive. voting against common sense safeguards for our air, such as the Bureau of Land Management’s venting and flaring rule which would limit the amount of methane that the oil and gas industry can release into the air. The parade of special interest groups coming into New Mexico to falsely attack me and to support their ally Michelle Lujan Grisham continues! Who's lying about me this time? Vote Verde -- A left wing group financed by radical New York City leftist Michael Bloomberg, who wrote a $150,000 check to fund the ads. 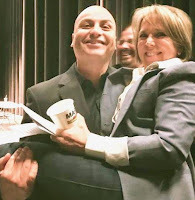 Its spokesman donated to Grisham’s campaign. . .It's clear that Michelle Lujan Grisham has promised to let New York City liberals run our state with their radical policies if she wins this race. Grisham will turn our state over to corrupt special interests and take orders from east coast billionaires. Leave it to the creative souls at the Taos County Democratic Party to come up with a new party mascot and just in time for the final stretch of Campaign '18. It's your Funky Donkey. Check him out by clicking on the ad. 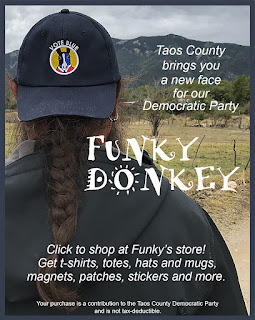 Funky Donkey looks like a fun dude to hang with it but if you can't be with him make him part of your political world by clicking on the ad and checking out the cool merchandise featuring his donkeyness. As for the group in Taos that came up with this inspiration, well, you know they know how to do that in the High Country. The biggest con out there is politicians who claim we can’t afford to lower the cost of health care or help our seniors retire with dignity. But then they hand billions in tax breaks to corporations. I say we can’t afford not to invest in our people. That’s why I wrote a bill to lower prescription drug costs and why I’m working to expand coverage. And I will always protect Social Security and Medicare. Because in New Mexico, we take care of each other. It's notable that Heinrich mentions his efforts to lower drug costs. That was the very topic Senator Sanders and Heinrich's NM critics scorched him over when he refused to support Sanders' bill to allow imports of cheaper Canadian pharmaceuticals. After the verbal whipping he received on social media and elsewhere, Heinrich introduced a bill that would allow the imports, saying his bill contained needed safeguards. Heinrich has received ample contributions from the pharma industry but less than most of the 12 other senators who joined him in initially opposing the Sanders measure allowing Canadian imports. Heinrich is opposed by Republican Mick Rich and Libertarian and former NM GOP Governor Gary Johnson. Neither are up on TV yet. National pundits have the seat ranked "Safe Dem" but the first re-elect for any Senator is Nervous Nellie time because that's when they are often ripe to be picked off. In fact, the last time a sitting NM Senator was knocked out was when first term Republican Jack Schmitt lost his bid for a second term way back in 1982. She outraised him better than 2.5 to one in the latest money reports but still he stands and as a result we still have a competitive race for the New Mexican governorship. Democrat Michelle Lujan Grisham overpowered Republican Steve Pearce in the fund-raising department in the July 1 through September 3 period, raising $1.9 million to his $750,000. But the parsimonious ways of the wily Pearce had him squirreling away enough in the bank to actually come out ahead of MLG in cash on hand. He had $1.9 million to her $1.3 million. She spent a lot of the loot she raised, nearly $1.5 million, while Pearce shelled out a mere $804,000. But for all that spending MLG did not put him away. Pearce has had a solid TV buy as has she, but hers is a much more expensive campaign to run, replete with a myriad of campaign staffers. The insider polling mavens say she is ahead but is not yet across the critical 50 percent mark. However, while the last poll released by Emerson College had this a 42 to 40 race in favor of MLG, that did not appear to help Pearce much in the fund-raising department. Steve Pearce’s dismal fundraising shows New Mexicans haven’t forgotten his far-right record and will reject him in November. Low budget? Hard message. High budget? Softer messaging. Pearce's TV ads haven't exactly been a hard sell, but they have been edgier and more direct on key concerns like jobs and education than MLG's. Her polling lead has led her to the big tent softer approach. The positive campaign has played out from both sides. It will now be the soon to come negative campaign that will decide the matter. As expected oilman Pearce received a good chunk of cash in the recent period from oil as well as agribusiness from the southern congressional district he represents. He also received $2,000 from former US Senator and astronaut Jack Schmitt. And how about this eyebrow raiser. Darren White, the former BernCo GOP Sheriff who has been a leading member of the Governor Martinez political machine, has switched sides. He gave MLG a maximum donation of $5,500. Of course, with these guys it’s always follow the money. White is now in the medical marijuana business and the state regulates that business. Enuf said. How many seats will the Democrats pick up? That's the question in the races for the state House this year. The Santa Fe wall-leaners say a gain of one or two is expected by the Ds who currently control the camber 38 to 32, but a big night would mean a couple more. To do that they will probably have to sweep four Bernaillo County contests that are drawing fierce competition. The money reports released Monday give us clues as to how things may shake out in those four key races. Perhaps the most likely seat to tip to the Dems is the ABQ NE Heights district held by retiring House Minority Leader Nate Gentry. 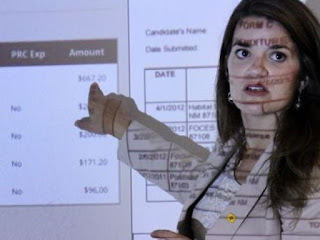 Republican John Jones is trying to keep it in the R column but teacher Natalie Figueroa came close to toppling Gentry two years ago and she's back for another bite out of the apple. She reports $66,000 in cash on hand as of September 3, compared to Jones' $49,000. That's not a huge gap but the fact that the Democrat has more cash in this once solid R district shows the dramatic change in demographics occurring in the district. The race is "Lean Democratic." Another one that may be ready to give way to the Dems is a bit surprising to longtime observers. It's District 28, a far NE Heights district that has been represented by Rep. Jimmie Hall since 2005. But Hillary Clinton claimed the district by a single point over Trump in 2016 and the demographics here also appear to be shaping a new political destiny for the D's. Melanie Stansbury, 39, a former program examiner in the Obama White House Budget Office, is the Dem challenger to Hall and reports $76,000 in cash on hand for the final two months. Hall has $65,000 banked. Stansbury tapped Emily's list for $5,500. Hall received $3,000 from State Rep. Bill Rehm's committee and $2,000 from the committee for retiring State Rep. Larry Larranaga. Again, the cash haul suggests this district may no longer be as competitive for the R's. Should it go into the "Lean D" camp instead of "toss-up?" Maybe. Because . . . I strongly believe it is time for a Special Session to be called to address the crisis at CYFD and the Children's Code. I believe that the current administration is overwhelmed. There appears to be a systemic problem with the professional CYFD staff. I think the requirements to safe guard NM children should receive the highest priority. Yep, that splash you heard was Hall throwing CYFD Secretary Monique Jacobson into the Rio Grande. But it may be too late. The Dems smell blood in that river. Over in the northern part of the NE Heights and south to the river there's a battle brewing between ABQ GOP City Councilor Brad Winter and Dem attorney Dayan Hochman to succeed retiring GOP State Rep. Sarah Maestas Barnes. This one looks tight. However, again the Dem has more cash on hand than the R with Hochman reporting $41,000 banked and Winter with $31,000. One of her top donations was $5,500 from the trial lawyers PAC. Winter, who has served on the council since 1999 and was an appointed secretary of state for a time, has high name ID. But if it does indeed turn out to be the year of the woman Hochman could take this one home. And then there is the surprise race of '18, thanks to the aggravated DWI arrest of ABQ GOP State Rep. Monica Youngblood this summer. Her trial was set for this week but now has been moved to September 25th. That's probably fine with her Democratic challenger Karen Bash, who has been door knocking the district and giving major worries to the freshly vulnerable Youngblood. Vulnerable? Yes. But not broke. Youngblood reports a significant fundraising edge over Bash with $55,000 in cash in the bank compared to Bash's $14,000. But there is a but. But PAC money is expected to come in big time for the Bash candidacy now that Youngblood is teetering over the embarrassing video of her arrest and her refusal to take a breathalyzer test when busted. Will the R PAC's try to save her? The answer to that could decide this one. Was that the sound of the race for state land commissioner shifting from "lean Democrat" to something more R friendly like toss-up? 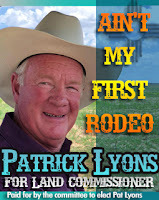 We told you the oil boys would be all over the GOP candidacy of former Land Commissioner Pat Lyons and the money reports revealed their presence. Lyons raised $144,000 in the July to September 3 time frame, spent $50,000 and had the tidy sum of $188,000 in cash. That number plus what more will come in guarantees Lyons will have a good TV buy and money for mail. On the other hand, Dem nominee and State Rep. Stephanie Garcia Richard is going to have to depend on the kindness of strangers---or at least third party environmental PAC's to keep Lyons caged. She reports the unprincely sum of $33,000 in cash on hand. She raised $55,000 but spent $54,000. So it will be oil vs the enviros in the weeks ahead. Well, it will also be Lyons vs. Garcia Richard, but you get the deal. If the Dems did not have such a distinct advantage in statewide registration, they might be fretting more over the money numbers from appointed GOP State Auditor Wayne Johnson and his Dem challenger and ABQ attorney Brian Colón. Johnson reported $105,000 in cash on September 3 while Colón trails with $100,000, $5,000 of which came from ABQ'S Branch Law Firm. Johnson received $5K from the owner of Vista Encantada Realtors and also $1,000 from ABQ businessman Doug Turner. Look at who's closing in on a million bucks in the bank. Why it's that humble servant from metropolitan Wagon Mound, also known as Attorney General Hector Balderas. He shook La Politica with the last money report when he reported $900,00 in cash on hand. Now the eyebrows are raised again as he reports his stash has grown to $986,000. Auto dealers and attorneys showered him with cash in the latest period. Balderas faces Republican Michael Hendricks and Libertarian candidate A. Blair Dunn in November. But with the kind of cash Hector has they look like they're about to face a firing squad. Of course, all the donors in all the reports covered here today are giving for the betterment of democracy. They don't expect any special treatment or access. Isn't that refreshing? Welcome back. Here's the latest from the campaign trail. Both Republican Steve Pearce and Democrat Michelle Lujan Grisham say they're ready to start spending on everything from education to infrastructure. And veterans of La Politica say they both may have have it right. “We have more rigs in New Mexico than we ever have,” he said. “We don’t just expect this growth to continue next year, but for the next five years. This is sustained growth.” He also touted one third of the State’s revenue from oil and gas, while the industry employs about 100,000 New Mexicans. The austerity hawks rightfully point out that the oil boom is bound to disappear like previous ones and are urging massive reserves be socked away to protect the state against a downturn. But if Flynn is right there is something more optimistic to ponder: How does the state handle billions of unanticipated revenue should it come in during the next Governor's term? If the cash continues to cascade into the coffers not only could Santa Fe fund the state's reserves beyond what even the most conservative lawmakers desire but also resolve long-term problems like the state's pension shortfall; it's chronic underfunding of the judiciary; fully funding education to respond to a court ruling that the current formula is unconstitutional and discriminates against children at risk and give healthy raises to state employees and teachers who have received few during our decade long stubborn stagnation. 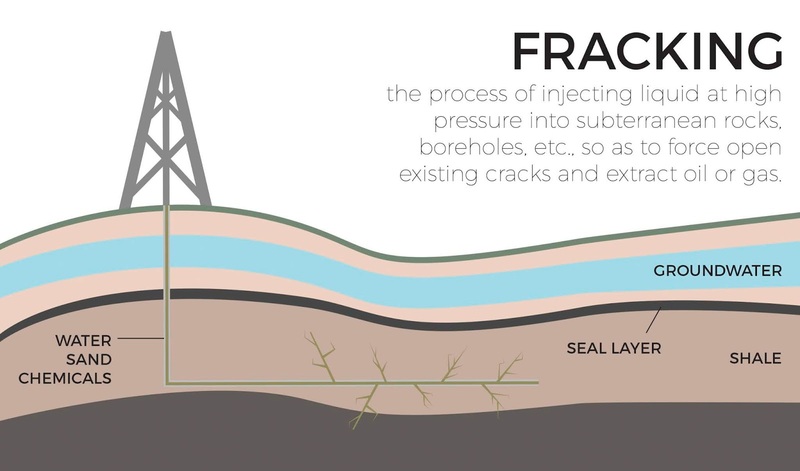 What are your plans if the state continues to accumulate billions from the oil boom? How would you effectively invest that money to reverse the state's standings at the bottom of all major quality of life lists? So, the Dems are criticizing Pearce’s connection to gas and oil? The very same industry that is flooding our state coffers with a billion plus surplus for them to squander. Meanwhile MLG and Sen. Heinrich are pushing huge solar and wind farms that will mar NM’s vistas, so they can sell energy to our neighbors. So much for access to public lands. The ads against oil may help MLG get the progressives back in line but given the current backdrop of an epic oil boom their effectiveness with the broader electorate is questionable.
. . . 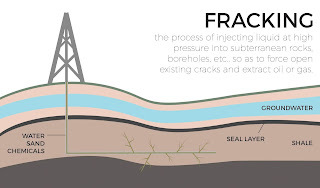 The public markets have been valuing fracking companies not based on a multiple of profits, the standard way of valuing a company, but rather according to a multiple of the acreage a company owns. As long as companies are able to sell stock to the public or sell themselves to companies that are already public, everyone in the chain, from the private equity funders to the executives, can continue making money. It’s all a bit reminiscent of the dot-com bubble of the late 1990s, when internet companies were valued on the number of eyeballs they attracted, not on the profits. . . As long as investors were willing to believe that profits were coming, it all worked — until it didn’t. . . Most things that are economically unsustainable, from money-losing dot-coms to subprime mortgages, eventually come to a bitter end. Meanwhile, the Hilton Garden Inn in Hobbs, in the middle of the Permian Basin oil boom in the SE, will set you back a cool $360 a night. Bust? What bust? Party on, Garth. They call her Lady Sunshine because of her long record of pursuing government transparency but ABQ GOP congressional contender Janice Arnold-Jones stepped into a black hole last week when she appeared to question the heritage of Dem foe and Native American Deb Haaland. That indelicate phrasing was seized upon by a wide range of Dems who lambasted the Republican hopeful in a series of news releases. Arnold-Jones stood her ground and insisted she was simply dealing in facts not in racial bias. Speaking of Fox, it will be FOX NM on channel 2 in ABQ/ Santa Fe that will broadcast the first televised gubernatorial debate at 6 p.m. September 19, not its sister station KRQE-TV 13. We were given incorrect information by a station staffer when we blogged that the debate would be on 13. The Fox face-off, however, will be moderated by a KRQE staffer and will last one hour. Our original point holds--the first broadcast TV debate is usually the most important one and will help set the tone for the final weeks of the campaign. Former ABQ GOP State Rep. Joe Thompson and other big name Santa Fe Fe lobbyists for UNM are going to have their hands full come the legislative session in January. That's because a name that's become big at the capitol has gone public with what appears to be an all-out war with the UNM Regents. Where is UNM President Garnett Stokes? Part of leading the university is to smooth the feathers of ruffled legislators. Sometimes it takes more than the lobbyists. How this all plays out in the appropriations process is the key question. If Lundstrom can't be pacified Lobo Louis may have to be put on a diet.